Michelle Wrighte’s versatile talent has taken her all over the United States performing many lead roles. The Iowa-born mezzo-soprano earned critical praise for her portrayal of Emilia opposite Ben Heppner, Renae Fleming, and Lucio Gallo — in Sir Peter Hall’s internationally acclaimed new production of Otello, which opened the 2001-02 season of Lyric Opera of Chicago. During Ms. Wrighte’s past seasons at Lyric Opera she has also performed the roles of Mercedes/Carmen, Giovanna/Rigoletto, the Tango Singer/The Great Gatsby, the Herdswoman/Jenufa, and the Second Apparition/Macbeth. A passionate advocate of Baroque opera, she has been heard as Armindo/Handel’s Partenope in Francisco Negrin’s critically acclaimed Glimmerglass Opera production, conducted by Harry Bicket; Ino/Handel’s Semele at the renowned Festival of Two Worlds in Spoleto, Italy; and as both Virtue and the Nurse/Monteverdi’s L’incoronazione di Poppea at Utah opera. The mezzo has made an indelible impression nationwide in an unusually wide variety of repertoire with important companies. Ms. Wrighte’s portrayal of Meg Page/Nicolai’s The Merry Wives of Windsor has been heard at Indianapolis Opera, and she sang Miss Dorothy Snite/Susa’s Black River at Opera Theatre of Saint Louis. Other operatic Highlights include: Prince Ramiro in La Finta Giardiniera for San Francisco Opera Center, The Fox in The Cunning Little Vixen at Tulsa Opera, Dinah in Trouble in Tahiti at Tampa Opera, Isabella in L’italiana in Algeri at Pamiro Opera, Cenerentola in La Cenerentola for the Lyric Opera of Chicago’s Opera in the Neighborhood, Dinah in Trouble in Tahiti at Tampa Opera and Cherubino in Le Nozze di Figaro at L’opera Piccola where “Michelle Wrighte sang both arias charmingly,” according to the Chicago Tribune. While at the Lyric Opera Center for American Artists, now known as the Ryan Opera Center, Ms. Wrighte was heard in an operatic concert at the Ravinia Festival; as Zerlina/Don Giovanni and Dorabella/Cose fan tutte at the Grant Park Music; and in her debut with the Milwaukee Symphony Orchestra, singing Bernstein’s Songfest. She also collaborated with Lyric’s Opera’s two composers-in-residence, premiering Ricky Ian Gordon’s song “Friend” and creating the role of Lucy Cross in the workshop production of Michael John LaChiusa’s Lovers and Friends (Chautauqua Variations). 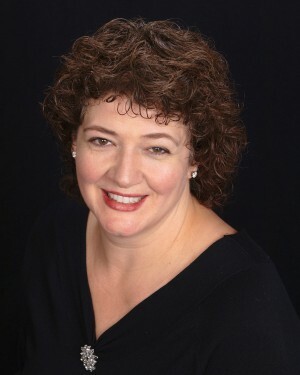 A highly successful concert artist, Ms. Wrighte has sung the alto solos in Bach’s St. John Passion under the baton of Robert Shaw, Handel’s Messiah and Mozart’s Requiem with the Elgin Symphony and Beethoven’s Symphony No.9 with the Illinois Symphony Orchestra and the Decatur Symphony. Michelle has performed the alto solos of Bach’s B minor Mass and Handel’s Messiah with The Choral Society of Durham. Ms. Wrighte was a featured recitalist for the San Francisco Opera with performances of Schumann’s Frauenliebe und Leben in San Francisco and Oakland, CA., and also with Ned Rorem’s west coast premiere of song cycle, Evidence of Things Not Seen at San Francisco’s 9th Other Minds Festival with the composer in attendance. Ms. Wrighte was also featured in the prestigious New Works Sampler for OPERA America’s 2001 annual conference in Atlanta, for which she sang works by John Adams, Michael Ching, and Tobias Picker. Michelle was a featured soloist in an operatic concert at the 20th International Saint-Barthelemy Music Festival in the French Caribbean. She mesmerized the audience with a riveting rendition of Carmen’s Habanera and sang the powerful ensemble pieces of Rosenkavalier Trio and the Rigoletto Quartet. Michelle followed her St. Bart’s debut with another featured soloist role in Oak Park’s fifth annual Handel Week. Michelle brilliantly performed several rare secular Handel cantatas thrilling an audience of Baroque enthusiasts at The 5th annual Handel Week in Oak Park IL. Ms. Wrighte was also featured at Oak Park’s Handel Week in the title role of Ezio in 2006 and the role of Micah in Handel’s Samson in 2007. The mezzo-soprano was a 1998 national finalist in the Metropolitan Opera National Council Auditions. Ms. Wrighte has a B.M. from Drake University, a M.M. from University of Illinois Urbana-Champaign, and a Certificate of Opera Studies from Temple University. This entry was posted in Sacred Music 2018 Soloists by Camerata Chicago. Bookmark the permalink.